Weekends call for some fun snacks but who likes to cook on a weekend? Who wants to spend hours in kitchen? We need something quick, something delicious, something healthy but the saddest part is that if you want all of these in one single snack, you will have to give time and efforts to make it. 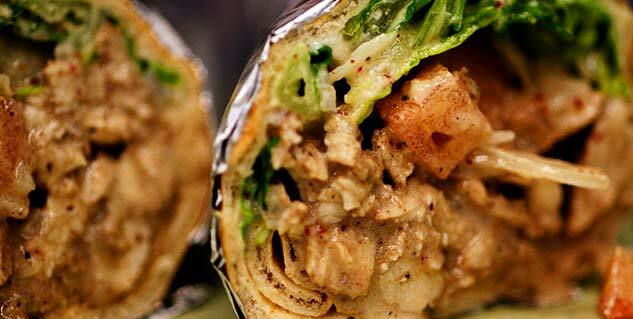 Today, we bring you quick and simple recipe of tasty chicken wrap. Take a bowl. Mix ½ tsp of cayenne pepper, black pepper, honey, cucumber, mayonnaise and whip until smooth. After whipping together, cover this mixture and keep it refrigerator. Now, take a shallow pan. Heat olive oil in it. Place the chicken breast strips. Once the breasts are fried on one side, flip them and continue frying the other side. Fry for about 8 minutes. Now add 1 tbsp of honey and half tsp of cayenne pepper to the chicken fries. Lower the flame now and cook the strips while stirring occasionally until all the flavors are blended. Cook for about 5 minutes. Heat the microwave and stack the tortillas. Give about seconds, so that tortillas turn warm and soft. First, spread the mayonnaise and cucumber mixture, and then add a layer of spinach leaves and then one final layer of chicken mixture. Fold both the corners of each tortilla. 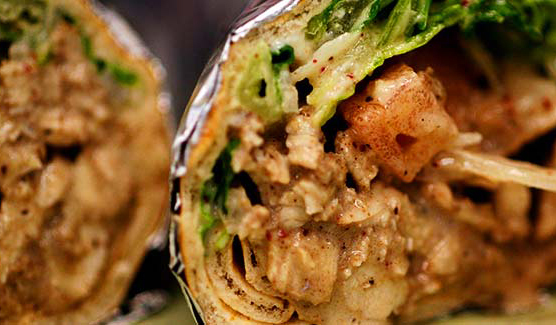 Make these tasty chicken wraps at home without spending much time and efforts. Serve it with litchi blizzard mocktail.